In the past few months, I’ve gotten to do a bit of traveling for work, which has been new and different. 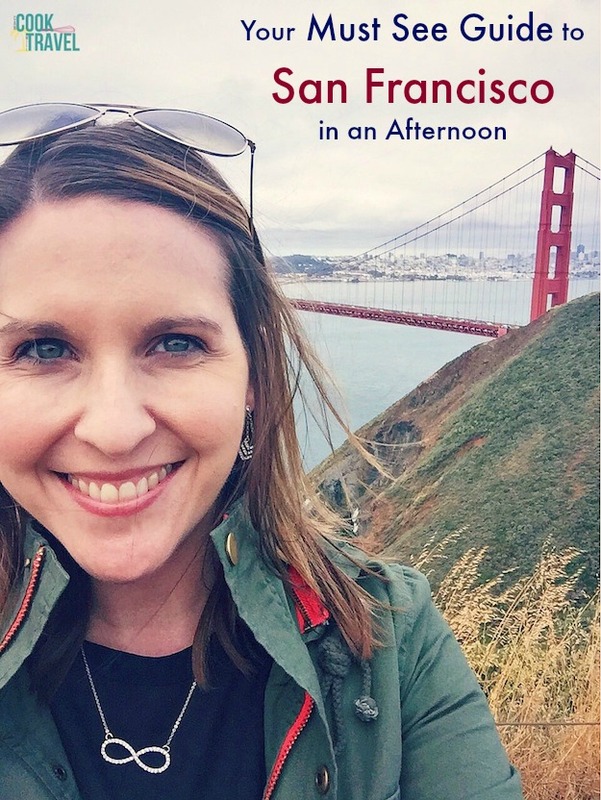 And while we’ve been working a ton, we did manage to squeeze in a few hours in San Francisco, which is a city that has long been on my bucket list. When it comes to these work trips, it’s been a lot of fun but rather exhausting. We headed to Southern California twice (I know, twist my arm, right?!) and then two trips to Lubbock, Texas (it wasn’t until trip 2 that I had a chance to actually take a moment and find it on a map!) and our final trips were to Northern California, which I’m pretty fond of. With it’s awesome variety of landscapes from rice fields to small mountains to flat areas, to vineyards galore, what’s not to love? And things were going great work-wise, so we piled in a car and headed to San Francisco to see the Golden Gate Bridge. 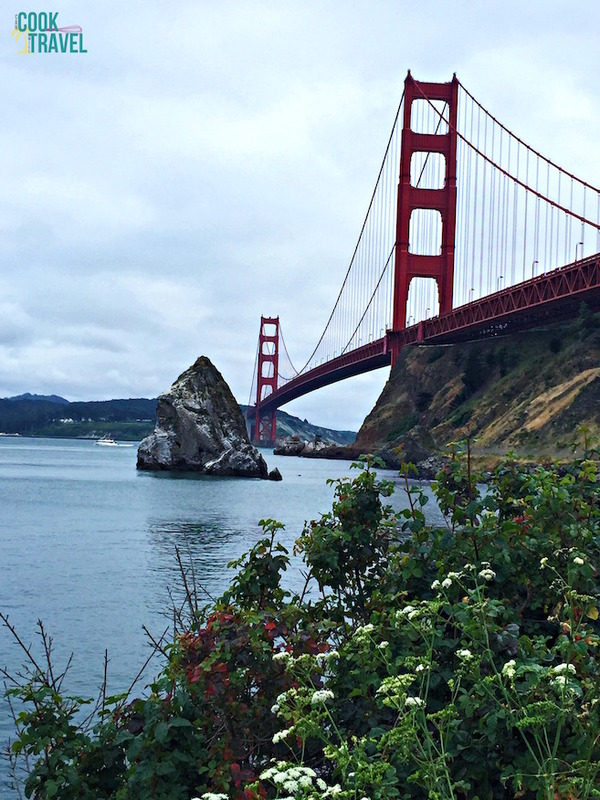 Naturally this is a hugely popular spot in San Fran, and was definitely our first stop. I have to say that it was nice to take a moment and be tourists a bit instead of constantly being on the go with work. So after getting some gorgeous and fun shots at the iconic San Francisco landmark, we headed across the bridge and did something that as a kid of the ‘90s I was totally cool with – hunting for some classic Full House shots. Yep, I went there! And no, I haven’t seen Fuller House (yet). But it turns out our navigator had other plans and before we knew it, my poor coworker who was driving, unknowingly turned right and we were driving down Lombard Street. Lombard Street is a pretty famous street in San Francisco. The movie I think of when I picture this street will always be What’s Up Doc?. On a side note, if you’ve never seen What’s Up Doc? with Barbra Streisand and Ryan O’Neal then go get your hands on it ASAP as soon as you finish reading this post, of course. It’s HILARIOUS and it’s Madeline Kahn’s movie debut! This one is definitely a favorite of my whole family. But I digress . 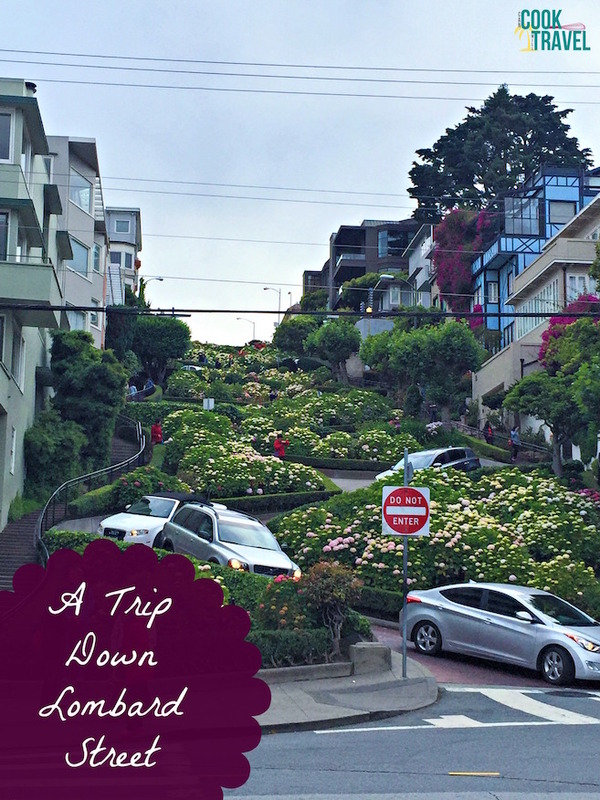 . . there were were on Lombard Street, which is a curvy, crazy street that is packed with tourists. I can’t possibly imagine living on that street, but it really is a cool location to check out. We got out of the car, took copious photos and took in the awesome views. We drove down many streets that are pretty much quintessential San Francisco. Including seeing the painted row houses, which are just ornate and gorgeous pieces of art. And our final stop of the trip was to Chinatown for dinner. Not knowing the city well, we really didn’t have a clue where to go, and I couldn’t tell you where we went – haha. All of the restaurants seem a lot alike, but what sealed the deal was the killer sales woman who was walking the street with flyers who convinced my boss that THIS was the place to go. They certainly didn’t skimp on food, and we ended up ordering a meal for 4 that was more like a meal for 14! I did have hot and sour soup for the first time. I know, I know fellow foodies, but I’m a bit of a Chinese food purist and always go for egg drop soup, so this time I thought, “what the hell, let’s try something new?” and it was quite good. Although I think I’m still an egg drop kinda gal. I think my favorite part of the trip was after dinner and walking around Chinatown as the sky started to get dark. It’s such a different change of pace than where I hang my hat in Kansas City, and I absolutely love that! I did a little shopping and got a ton of chopsticks for future culinary adventures, and it was all perfectly timed to see the streets strung with paper lanterns and lights as the sun went down. Overall, I loved this little excursion and it was such a great brain break from the craziness that is work these days. I could totally see myself in a place like San Francisco. It reminds me a lot of living in London with all of the walking and historic sites. J’adore! 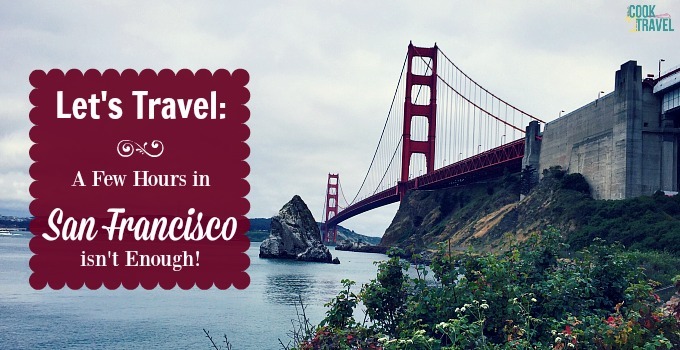 Now I just need to schedule another trip to explore San Francisco even longer, and I can’t wait to do that! 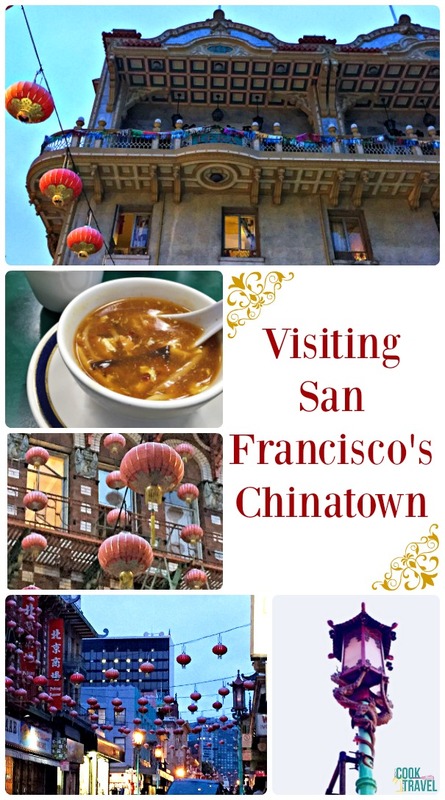 Ever been to or lived in San Francisco? I’d love recommendations of places to visit, stay, eat, and so on for trip #2! Comment and let me know where I should visit in this awesome city next time! Stay inspired & catch the travel bug!